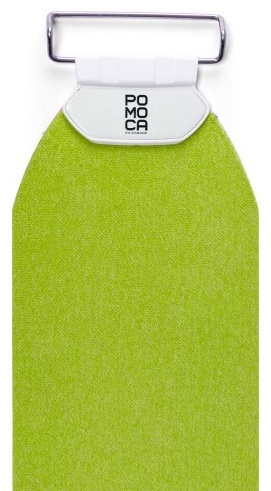 Also known as the Pomoca Climb Pro, these 100% mohair skins give you natural glide. However unlike untreated mohair that can get waterlogged, the Pomocas feature an EverDry treatment that helps prevent glomming and a waterproof membrane to keep moisture off your glue. Think of it as modern mohair. Also modern is the ready2Climb attachment set with a replaceable tip buckle (two sizes included, more available) and adjustable tail clip. Safer Skin moisture barrier keeps snow melt from wrecking the stickiness of the glue. Tip buckle can be swapped within a range of 66mm to 105mm, fitting most skis out there. Back Fix adjustable tail straps let you control the tension before or after you put on your skins. Standard Pomoca Ever Dry anti-glopping treatment covers the length of the skin. Comes with a $20 cutter that perfectly exposes 2mm of edge in one go. Quite unfortunately I seem to have put a 1 cm tear in the edge of one of my Pomoca Mohair skins. Do you guys have any experience repairing torn climbing skins of this or any other variety? Couple stitches with a speedy stitcher? Adhesive patch? Asphalt shingles? Chris- A few stitches will on the tear will fix that right up. I would not use anything else. I would like to purchase your Pomoca Climb Pro. 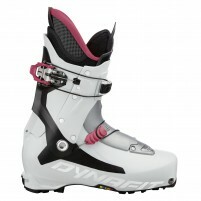 Just want to be sure that the tip buckle will mount to my Bent Chetler 120 (under foot) skis. Brad, the 140mm skin comes with the widest 105mm buckle. Looking at the tip of the Bent Chetler, it looks like it should be wide enough. Good skins that are durable, provide decent traction, decent glide when broken-in, have decent glue, and are decently compact when stowed. I also like that they are green. After 60+ days of use in all conditions/temps, they are still in excellent shape and the glue is as good as it was new. Fitting is very quick and easy with the supplied edge trimming tool and the supplied storage bag is a nice touch. I've been using these for all my "big" skis and they have been great. The glide is comparable to other full mohair skins, they are durable, and climb well. I have about 40 days on a pair that have been used in every condition imaginable, including skinning rocks and ice, and they show no signs of appreciable wear. My only pseudo complaint is that the glue isn't great but I have yet to have a skin failure so maybe that's in my head. Anyway, it's nothing a little extra gold label couldn't solve. I'll definitely buy them again. Hi Steve, these are trim-to-fit touring skins with proper tip and tail clips (race skins are typically skinny, parallel, and only have tip bungees). These are faster than nylon skins, with a touch less grip and durability. I'm the same height as you and prefer 50" ice axes since they plunge deep enough and fit on a pack better.